Being able to measure accurately is essential in sewing. This is why it is important to have both a sewing gauge and soft tape measure in your sewing box. The sewing gauge helps with measuring small units of length such as for hems. 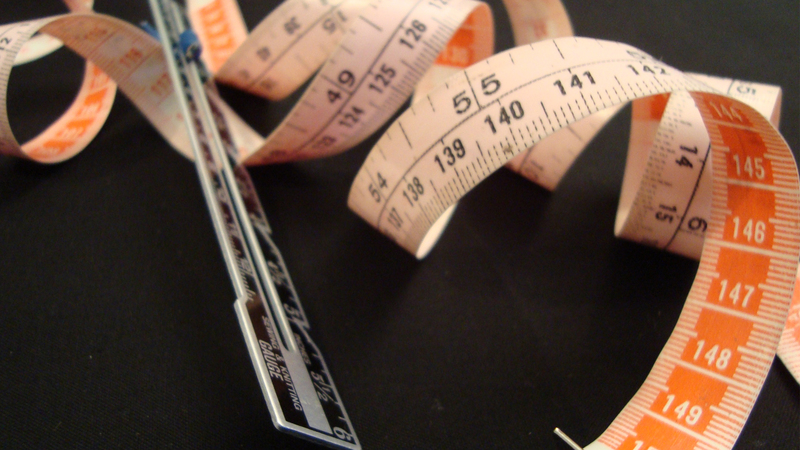 The soft tape measure is great for taking one's measurements. Also it is important to know measurement breakdowns so it's easier to figure out how much fabric to get. There's 12" in a foot. Three feet in a yard. And one yard is a total of 36".